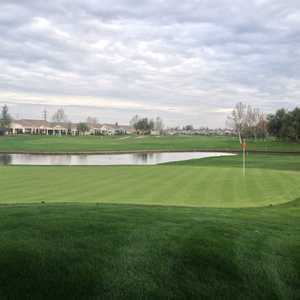 ANTIOCH, Calif. -- A glimpse of the events calendar at the Lone Tree Golf Course can be dizzying: senior leagues, women's leagues, a First Tee chapter, beginner clinics, top local tournaments and more. Located a short drive from the East Bay, Lone Tree has everything locals want. If you can't find an event for you here, golf might not be your sport. The facility even partnered up with a local steel mill in the summer of 2013 to host 16 beginner golfers for a five-week session as part of the company's wellness program for its employees. "The company recognizes its good for employees to stay healthy," said Ron Parish, general manager at Lone Tree. "To be active and socialize through the game of golf and have business contacts." Golf has been a fixture on these slopes beside the Mount Diablo State Park since 1934, when Lone Tree opened its original nine holes. Today, the course is city-owned but operated by a separate corporation that allows the club to operate more freely than most municipal courses. Its leadership includes five local board members who are able to assist with the business and marketing. Parish, who's been here for eight years (he started shortly after the new clubhouse and events center was built in 2004), says the course has never been better under his tenure. "We've kept course conditions a priority," he said, adding the course has never had such good definition between the fairways and rough. "We haven't cut back on fertilizer or sand. We also have a really good staff right now that bodes positively to keep our programs going." Lone Tree has a yesteryear-type yardage at 6,427 yards from the back tees. But combine small and, at times, elevated greens with a brisk afternoon wind, and the course is plenty challenging for all players. Lone Tree has hosted some of the area's top amateur events, including the Antioch City Amateur. It's also been the home course for some fabulous area golfers, including Mark "Doc" Miller (three-time Northern California Golf Association Player of the Year) and Terry Foremen (NGCA Senior Match Play Champion). Bobby Olds, who won the Senior State Amateur at age 65, is also a regular here. There is no residential component to the property, which gives is a classic parkland setting, and holes along the perimeter offer particularly pleasant mountain views. Trees are plentiful. Red Oaks, Cypress, Eucalyptus and Ponderosa Pine trees are scattered between fairways, making for pleasant, shady areas. The first hole at Lone Tree is a doozy, taken straight out of the book of some of Donald Ross' great opening holes. It's a straightaway par 4 from an elevated tee playing straight toward the mountains, providing a great backdrop to kick off the round. From a depressed fairway, the green sits up on a hill and requires an added club to reach the surface. You'll find out quickly that a lot of greens here, in the mold of classic courses, can be small and raised, making them tough to hit. Nos. 12 and 15, in fact, are course originals and make for two of the smallest greens. The hole with the most greens is the 10th, which has alternating left and right targets. 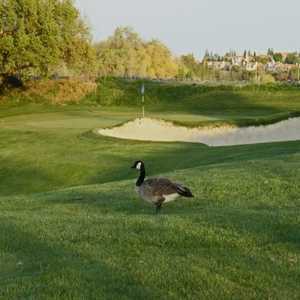 Located a short drive inland from Oakland and the East Bay, the Lone Tree Golf Course has everything locals want in their home course -- interesting design, solid conditioning, nice scenery, and a full clubhouse, pro shop and driving range. 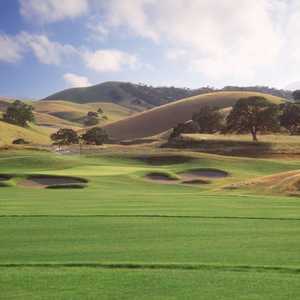 An East Bay favorite, Lone Tree rates a tidy 3.9/5.0 by golfers on GolfNow.com. "The course was in great shape," wrote u000003473380 on his GolfNow profile about his round in July 2013. "And even though I am only a 12-handicap, I was treated as if I was a [below] par player."